The immunity in growing children is comparatively lesser than adults and hence they are prone to several illnesses. The immune system is also in its formative stages in children, where it learns and adapts from the infections. While most of the diseases in children are of mild severity and tend to resolve with supportive care, some of them can be fatal. Hence, it is important to have some basic information about the common diseases in children and their preventive measures. Few of the common diseases in children have been discussed here. Chicken pox is a common childhood infection which can be sometimes noted in adults too. This condition is commonly associated with the formation of red rashes which can be itchy and form fluid filled blisters. These blisters crust to form scabs and then eventually fall off. Fever is commonly noted during the first few days. Itchy spots can be quite miserable for the children. The spots may be noted only over certain regions of the body or cover the entire body. Common regions include face, scalp, ears, chest, under arms, or on the belly. While chicken pox does not have any specific treatment, some medications to help relieve fever and itching may be advised. The spread of chicken pox can be prevented through vaccination. Common cold, cough and ear infections are next common diseases in children which often worries the parents. Normally, children have eight or more colds a year. A cough may often be a symptom associated with common cold. Such coughs are self limiting and may not need any treatment. However, a doctor need to be consulted if the child is unable to eat, breathe or feed because of a cough. A bad cough that lasts for several days is also of concern. A sore throat is often a symptom of viral infection. Commonly these symptoms last for a few days and are treated symptomatically. However, a doctor may need to be consulted if a sore throat lasts for more than 4 days, or if the child has difficulty swallowing or has high fever. Small children and babies can also have ear infections along with the cold. Such infections can also be associated with fever and last for a couple of days. Symptomatic treatment is usually advised. However, a doctor may need to be consulted if the symptoms last for more than 2 weeks. This is one category needs to be addressed, (note: It’s not a common disease in children, rather it’s referred as a common condition in children’s). Common dental conditions are thumb sucking, hypodontia, tooth decay, etc. Tooth Decay: Baby bottle tooth decay is also called nursing caries. The main cause for this conditions is identified as prolonged exposure of baby teeth to sugary food/ beverage contents. Tooth decay left unattended can lead to absessed tooth, and any damage in the growth of baby teeth can result in the distortion/ alignment of permanent teeth. 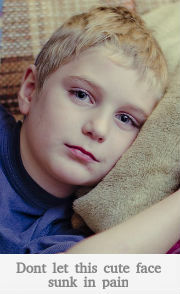 Thumbsucking: Thumb sucking is a common practice among children. 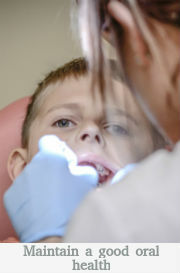 Even though thumb sucking gives children a sense of comfort and emotional security, if the practice is carried beyond an age of five, it can affect the growth of permanent teeth. Leading to difficulty in pronunciation, misalignment of teeth, overbite, etc. To curb this situation parents should advise the child and reward him with positive quotes and incentives. Click here to read more on common dental condition in children and what preventive practice should be instilled. Croup refers to the infection of the throat and the voice box (vocal cords). It is a viral infection which is commonly noted in children below 5 years and is caused by the same viruses which cause the common cold. The same condition is called laryngitis in older children. Croup is associated with symptoms such as cold, hoarse voice, cough (loud and barking type), and tiredness. These symptoms worsen at night. Treatment is usually similar to that of a common cold. Home treatment is sufficient in many cases. However, severe croup requires immediate medical attention. If the child is having difficulty breathing, or has difficulty in swallowing or seems to turn blue, take him/her to the doctor immediately. Measles is another common disease in children which is highly contagious in nature. It can affect the children who have not got this disease earlier or have not been vaccinated. It is caused by a virus known as paramyxovirus. The symptoms can include a cough, fever, along with sore and watery eyes. This is followed by an appearance of rashes on the third or fourth day. 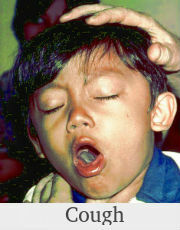 Treatment for mild cases involves bed rest and medications to reduce the fever. Children suspected of being infected by measles are advised to stay at home to prevent the spread of infection to others at school. Severe cases will need to be treated at a hospital. Measles can be easily prevented through immunisations given during early childhood. Speak with the doctor if you have not been vaccinated earlier for measles and are attending to a child suffering from measles. Vomiting and diarrhoea are also the common diseases in children, especially younger infants. While vomiting can last up to three days, diarrhoea (loose stools) lasts for five to seven days. These two conditions can be caused due to viral infections, stomach infections, food poisoning or consuming a food that one is allergic to. Children affected by vomiting and diarrhoea tend to lose a lot of fluids and can become dehydrated. Hence it is advisable to encourage the child to drink enough fluids. Infants should be continued to feed normally. Oral rehydration treatment is also advised. Doctor’s attention should be sought if the baby is less responsive, have fever, has not passed much urine or if the vomiting has lasted for more than a day. In the case of elder children, a doctor must be contacted if they have experienced more than six episodes in a day, if diarrhoea is associated with vomiting or if there is blood in the stool. Vomiting and diarrhoea can be prevented by following good personal hygiene and hygienic methods of cooking. Most of the common diseases in children can be prevented by following good personal hygiene. Encourage children to wash their hands after playing, after visiting the toilet and before having food. The nose and mouth should be covered with a tissue while sneezing or coughing. If a tissue is not available, one can cough or sneeze into the inner arm (and not into the hands). Counter tops, toys and diaper changing areas must be kept clean and disinfect them when the child has diarrhoea. Meat and poultry should be well cooked. Wash the vegetables and fruits thoroughly before consuming. Consult a doctor if you feel that the child is not well.